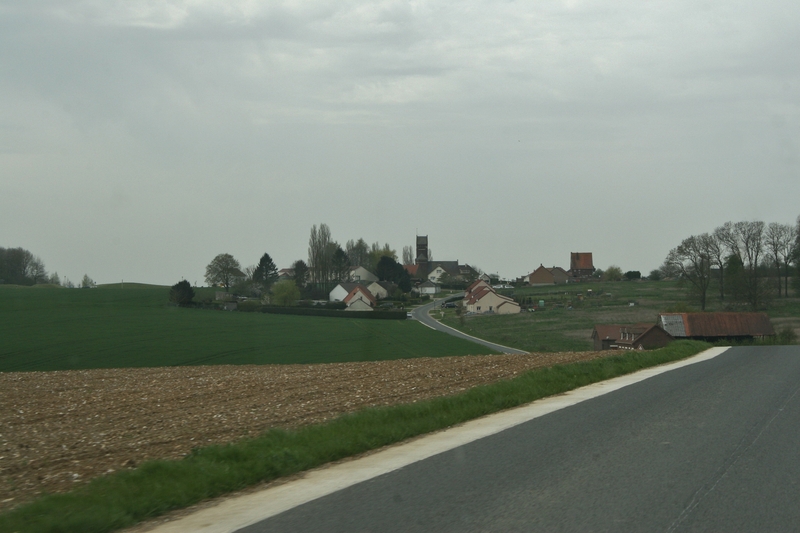 Our final Thiepval post is a bit of a curiosity, in that there are only a handful of photos, and all were taken from a moving automobile. 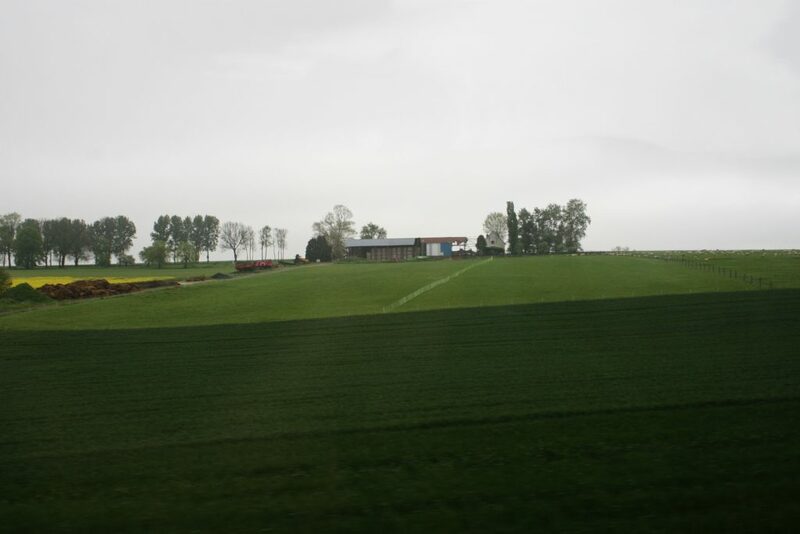 Nonetheless, Mouquet Farm was a crucial German strongpoint during the summer of 1916, and as the photos came out okay, I might as well use the opportunity to impart a few facts about the battle for the farm. 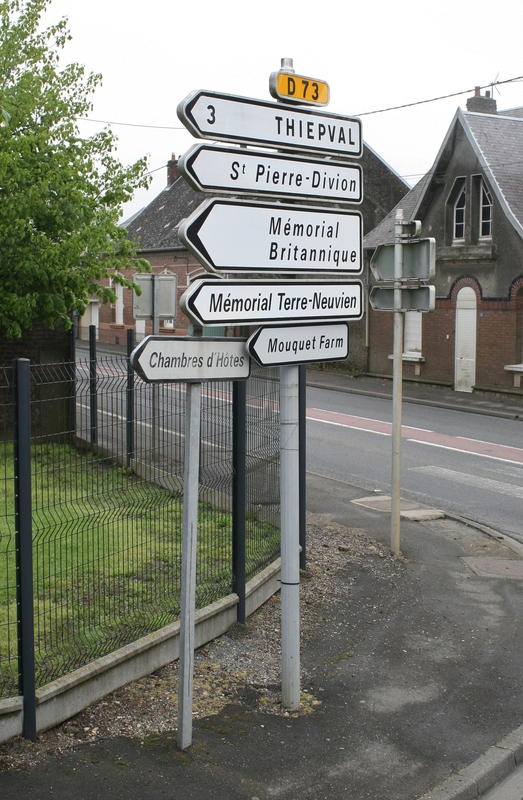 The signpost above, in the centre of Pozières, directs us north west off the main Albert-Bapaume road towards Thiepval and the Thiepval Memorial, just under two miles away. 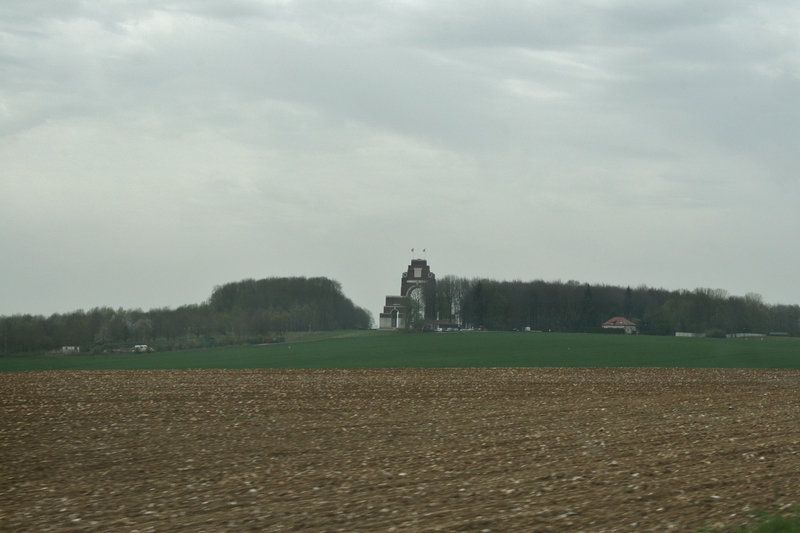 …although the view has changed, the Thiepval Memorial now commanding the landscape as we leave Pozières behind. …and up on the ridge that links Thiepval to Pozières on our right, the rebuilt Mouquet Farm, or Mucky Farm, as the British called it, and as we shall from now on, its strategic importance immediately apparent. 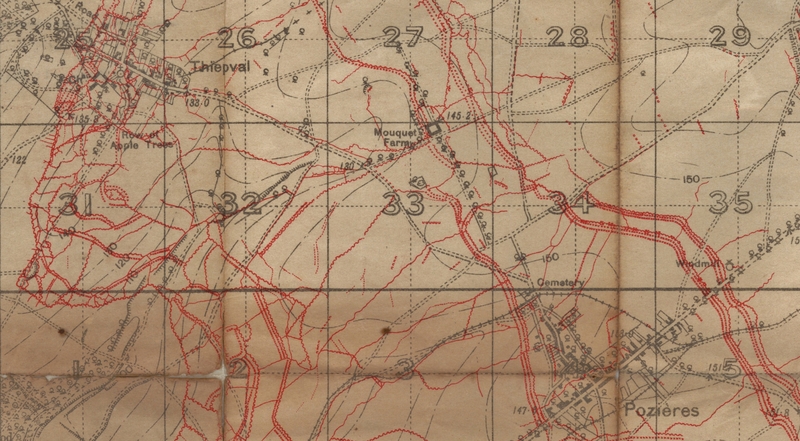 As the trench map shows, if the British could take the farm, splitting the Germans in Thiepval from those in Pozières, the Thiepval salient would be under threat from the rear, and the whole German defensive position in this part of the line might conceivably collapse. 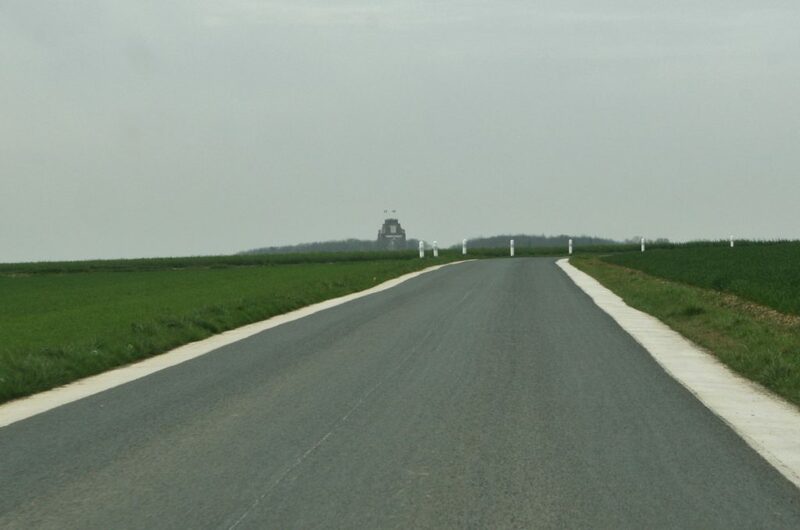 As we have seen elsewhere on this site, however, the British offensive to the north of the Albert-Bapaume road on 1st July was in general an abject failure, the attack at Thiepval gained little ground, and in the end the first direct attacks on Mucky Farm would not take place until August. In the months before the Battle of the Somme the farm had been heavily fortified by the Germans, not only above ground, but deep beneath the earth too, linked subterranean chambers and passages, with any number of entrances and exits, allowing the defenders to move with relative ease to any part of the farm that was under threat. 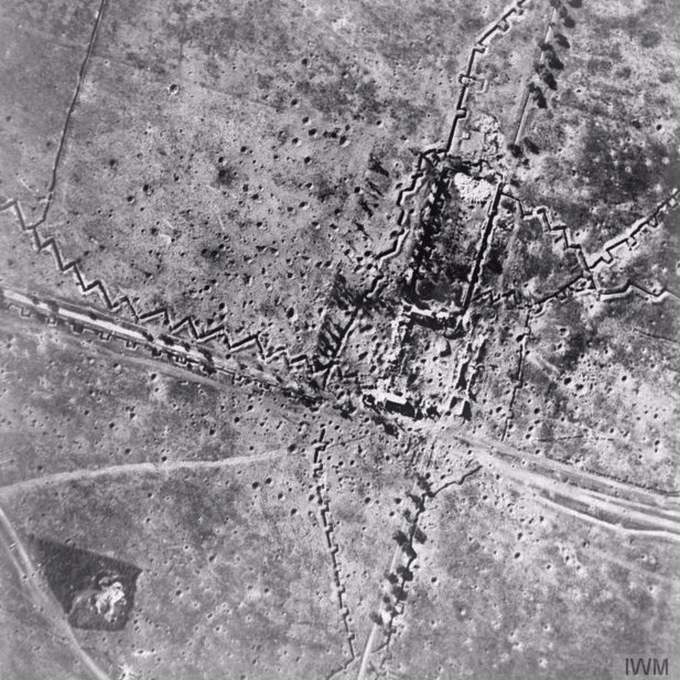 Well into 1916, however, the farm was still in reasonable condition, the main farm building still retaining much of its roof, and even in the weeks prior to July 1916, aerial photos (above) show the farm buildings, although by now no longer fit for habitation, still clearly outlined. Shells fall on the German trenches at Thiepval on 25th September 1916, the day before the village, and Mucky Farm, finally fell to the British. The first of what became a series of attacks on the farm was made on the night of 10th August 1916 by men of the 4th Australian Division, but it would be many weeks later, after nine more repulsed attacks costing the Australians some 11,000 casualties as they advanced, slowly, along the ridge from Pozières, that the British would finally capture it. 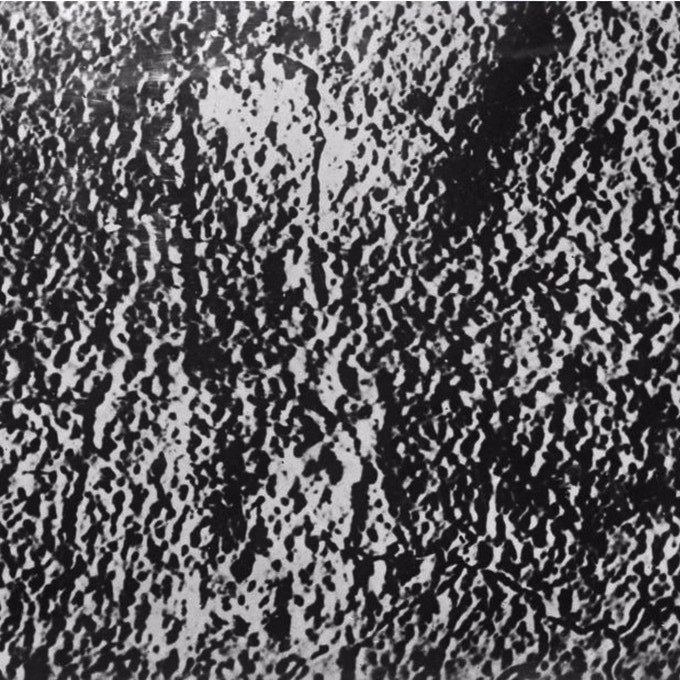 A massive artillery bombardment began on the morning of 26th September, shrouding the whole Thiepval sector in smoke and obscuring everything for the troops on the ground, followed by waves of infantry attacking both Mucky Farm & Thiepval. The farm’s outer defences were swiftly breached on this occasion, and although the defenders fought fiercely, both above ground and below, holding on in the tunnels and passages until evening, the remaining garrison of 56 men were finally forced to surrender. Thiepval itself would fall by the following morning. 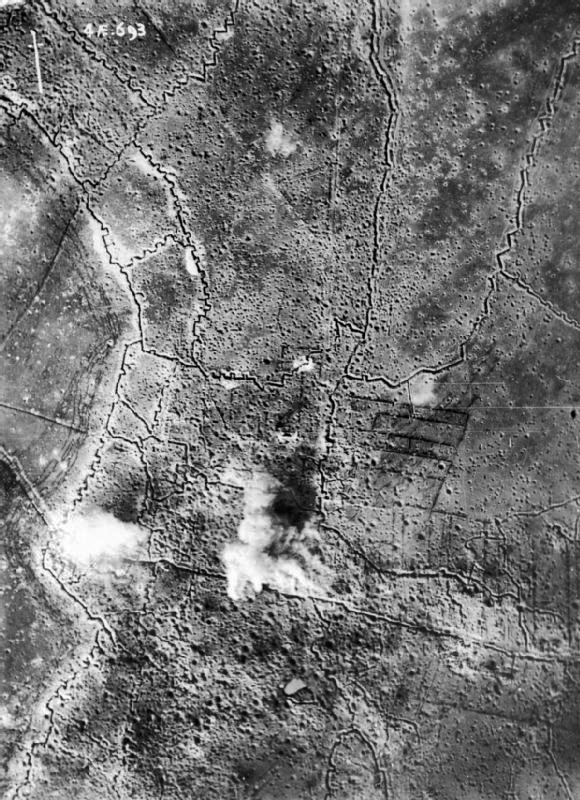 The photograph above shows the farm after the battle. Mucky Farm today. 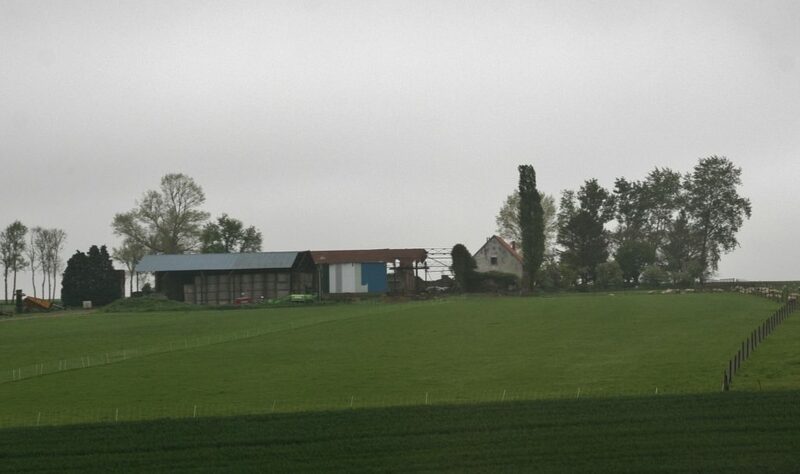 Like so many rebuilt farms in both France & Flanders, the new farm is built adjacent to, as opposed to on top of, the old site, the underground passages and years of land slippage making building dangerous, if not impossible. I am told that if you go up to the farm, there is still a depression to be seen where the old farm once stood. 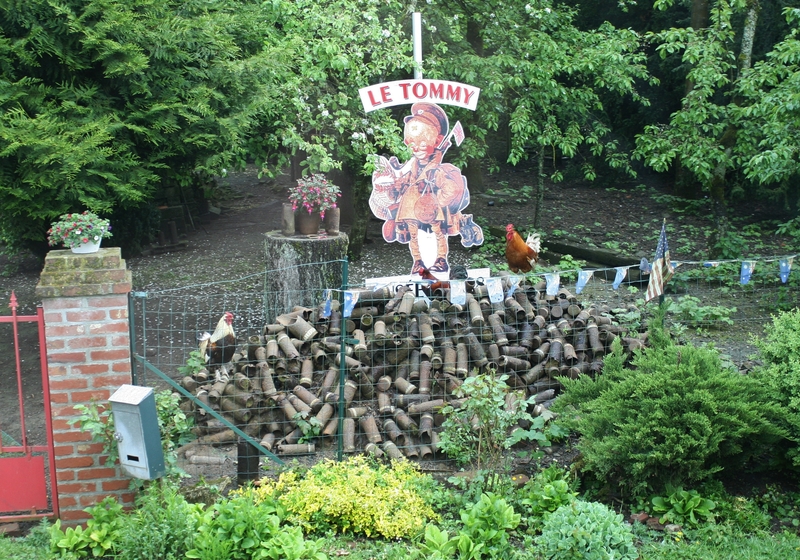 On our way back to Pozières, a curious still life, with apologies to the chickens, actually advertising the Le Tommy Café & Museum down the road. Now, some of you may have started out a while back on the ‘Travels on the Somme’ tour before finding yourselves here. We were going to visit Serre and the Redan Ridge next on that tour, and you still can if you click here. Imagine being there during the shelling……..
Insane, isn’t it? And unimaginable, frankly. And you’re a military man! At least you are used to the concept of being shelled, if you see what I mean – for all I know you experienced it – it occurred to me that had you been born a hundred years earlier it would have been the Dodengang for you, would it not? Almost certainly, I would have thought.